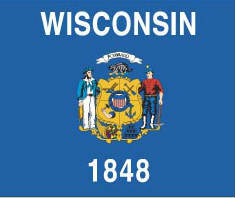 Forklift Training in Wisconsin - Be Certified Today! If you are looking for work as a forklift operator in Wisconsin and do not have required training: Employers generally prefer applicants with forklift certification. You can easily get hired when you have your license readied before submitting your application to them. Now, if you do not know how to get your forklift training, here, we’ve prepared the things that you need to do. On the other hand, if you are presently employed, employers in Wisconsin comply with the OSHA regulations (29 CFR 1910.178) to train their forklift operators. The employers are the ones in charge of giving the forklift training to their forklift operators. OSHA orders the implementation of safety programs in the workplace to properly train their drivers to protect their welfare while at work. The training program must be conducted every three years and evaluation must be done to ensure their competency. Forklift operators in Wisconsin do not require to be legally licensed but employers must ensure operators their capability and skills to drive the forklift. Where Can Operators Go to Get Certification? How Much Does It Cost to Get Forklift Certification? How Long is the Forklift Certification Course? I was Injured at Work, Is My Company Liable? The main priority when you are a new operator is to decide which forklift truck you want to drive since the training program will be specific to the type of truck you will choose. Please check the types of forklifts below. Enroll in a training schedule in a school near you. You can check the below-mentioned list for reference where to take the training. Attend the forklift classroom lectures and practice drive test. The classroom discussion usually last for 4-6 hours. While the practice test will be more comprehensive thus to complete the training it will take 2 days. You can refer to this 10 points to know to pass the practice test. A type of evaluation or some sort of written test will be given. The intention is to assess the knowledge acquired by the trainees. To help you pass, check out these questions for passing the written test. When you are qualified, you will receive you forklift operator license card and certificate of training completion. How to Pass the Written Exam? To know more about other forklift certification requirements, you can follow this article to know more about the basic requirements. Here are the list of training providers in this state. You can contact them and inquire about what you need. Forklift Safety Training Services, Inc. Serves many states J. J. Keller & Associates, Inc. When Do You Need to Take Refresher Course? Will the Employer Train the Forklift Operators? Counterbalanced forklifts - the one ordinarily being used in the warehouse to move basic loads in pallet or platform. This type of forklifts is commonly used on the construction site and being used in uneven terrain. According to salary.com, as of December 01, 2018, a forklift operator in this state receives an annual salary range from $30,800 to $39,470, depending on the size of the business and skill level of the operator. In Indiana, the closest state, salary of the operator is a bit lower. Other factors play an important role when demanding for a higher salary like the length of experience of the operator, driving proficiency, if the operator can drive different types of forklifts, and many others. If you want to advance your skills from operating forklift to becoming a safety trainer, you can take the train-the-trainer program. You can be promoted as your company’s internal consultant, then you can insist for a better salary. How to Find a Forklift Driving Job even You Don't Have experience? When to Shift to A New Job?